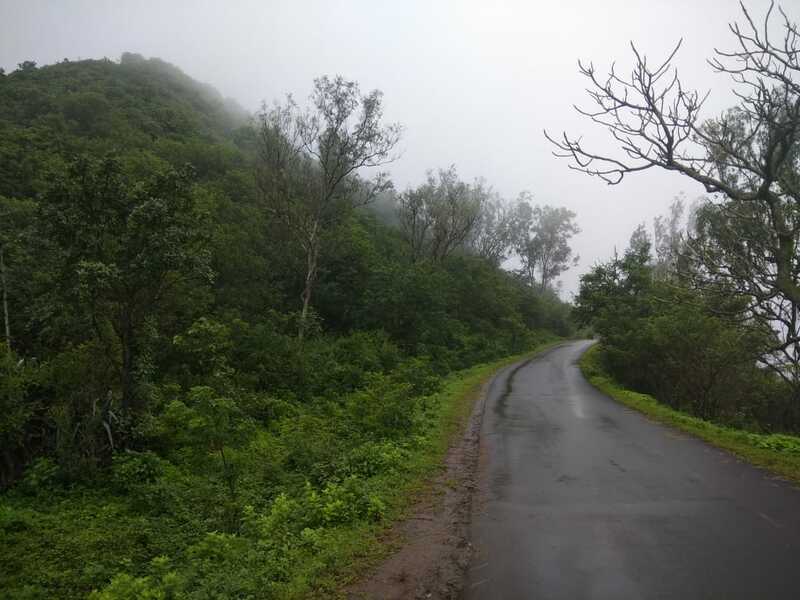 Purandar Fort is known as the birthplace of Sambhaji, the son of Chhatrapati Shivaji Maharaj. 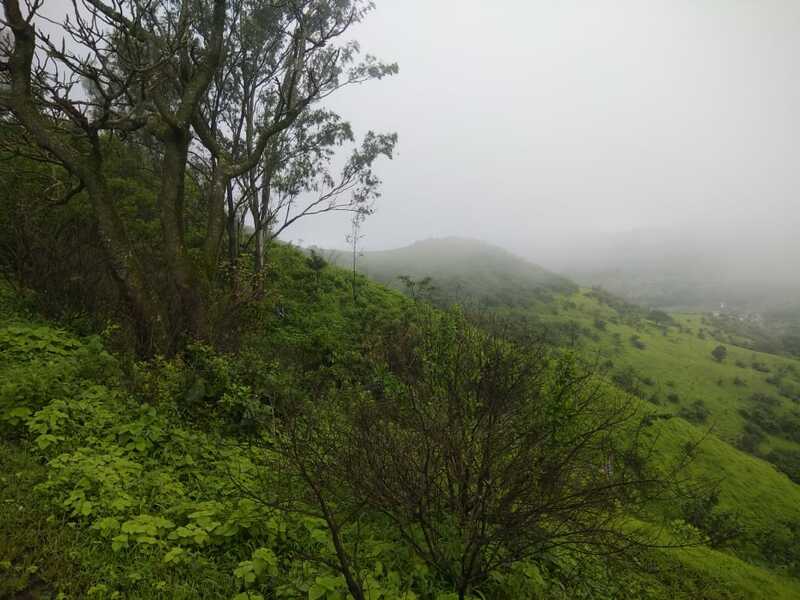 The fort of Purandhar stands at 4,472 ft (1,387 m) above the sea level in the Western Ghats, 50 km to the southeast of Pune. 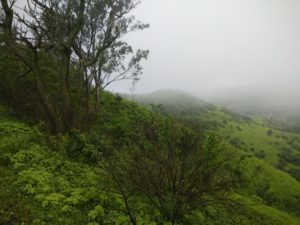 The twin forts of Purandar and Vajragad (or Rudramal) of which the latter is the smaller of the two, is located on the eastern side of the main fort. The village of Purandar takes its name from this fort. 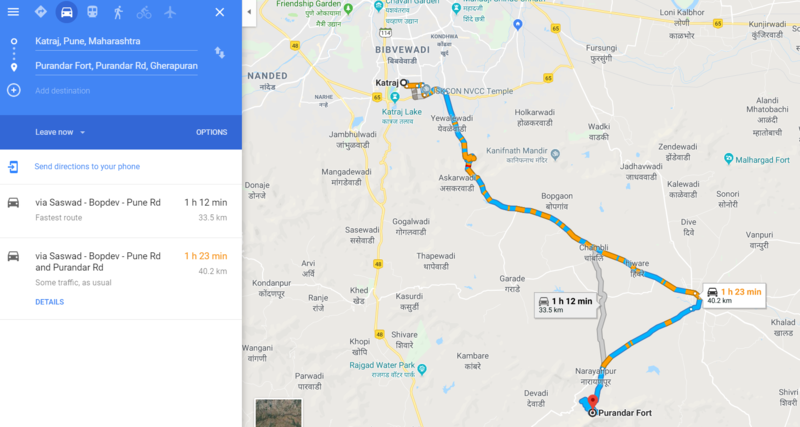 How to reach Purander fort? 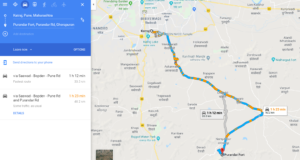 Reach saswad. From saswad just before the Narayanpur temple there is left turn for Purnadar fort. 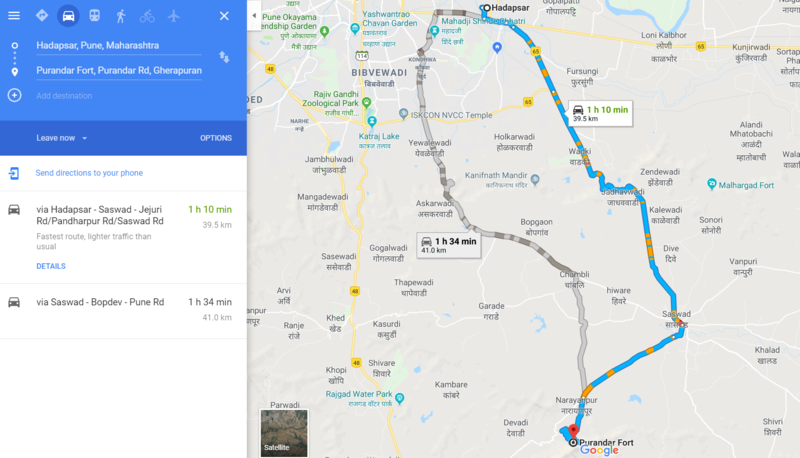 We started our joureny from Hadapsar around 9:15 AM and reached saswad via Deve ghat around 10 PM. From saswad we reached base of the fort in another 20 mins. Just before the Narayanpur temple there is left turn for Purnadar fort. We enquired for trekking and they said it is difficult to trek from base as we went with family and small childrens. They suggested to take vehicle up the fort and park it there. Just like singhagad fort, road is constructed to reach the top of the fort. That raod is constructed and maintained by Army and therefore is in very good condition. Fort is under Army territory and enterance is based on ID proofs. They register each and every visiter. From enterance gate, it is around 1 KM or so to the parking. There is only 1 hotel present at the top and you willget snacks at decent price. From there it’s 1 hour journey with kids.